Michele Courton Brown is a seasoned executive with more than two decades of experience leading, managing, and providing strategic direction to philanthropic, corporate, and nonprofit organizations. 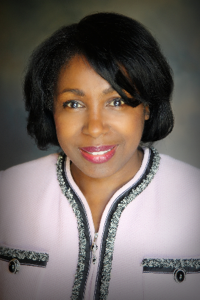 Currently she is chief executive officer of Quality Interactions, a leading provider of cultural competency training for the healthcare industry. The company trains healthcare professionals to communicate with and care for diverse patient populations to improve patient experience, health outcomes, and financial results. Prior to joining Quality Interactions, she was chief operating officer of The Efficacy Institute, a national education reform organization. In the realm of philanthropy, Michele was a senior vice president and national practice director for Bank of America’s Philanthropic Management Group, where she provided advice to high net-worth clients and served as a subject matter expert. Also at Bank of America, she served as a market director, leading a multi-state team of professionals who provided fiduciary, administrative, and philanthropic advisory services to high net-worth individuals, families, foundations, and non-profit institutions. Michele has also been the president of the FleetBoston Financial Foundation (which contributed over $25 million annually to charitable endeavors), executive director of Corporate Contributions for BankBoston, and executive director of The Travelers Insurance Companies Foundation. Michele co-authored Just Money: A Critique of Contemporary American Philanthropy, and is a frequent writer and speaker on charitable giving. She has served on the board of directors of numerous local and national non-profit organizations, including Boys and Girls Clubs of Boston, Judge Baker Children’s Center, Museum of African American History, YouthBuild USA, and City Year Boston. Michele earned a B.A. in Economics from Boston University, where she is completing a M.S. in Health Communication. She currently lives in Boston with her husband Philip Brown and their two sons.